Sometimes the simplest things in life are the most beautiful. Like Fall colors. Collecting leaves. 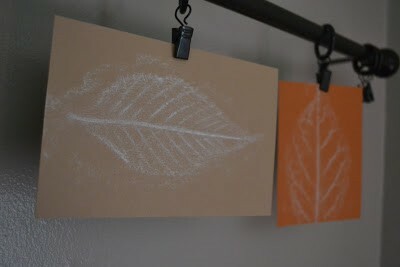 Memories of childhood art projects. The best part about this project wasn’t the time spent collecting leaves with my kids. 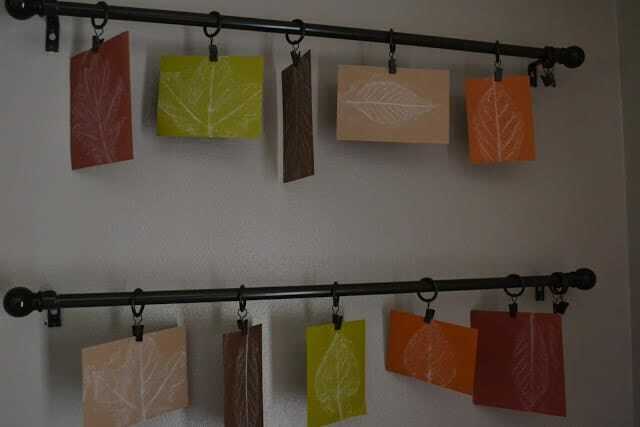 It wasn’t the process of choosing the right colors of paper to match the colors of Fall. It wasn’t the careful peeling of the paper off the white crayon. No, the best part of this project was the way it transported me back to the simplicity of childhood. The way I lost track of everything going on around me. 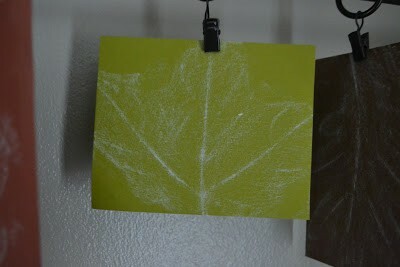 The fact that the most important thing to me was how well I was able to capture the details of the leaf on the paper. 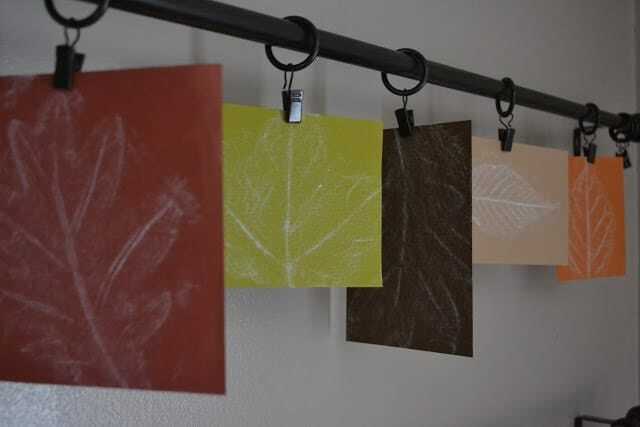 Hanging them was pretty fun, too. 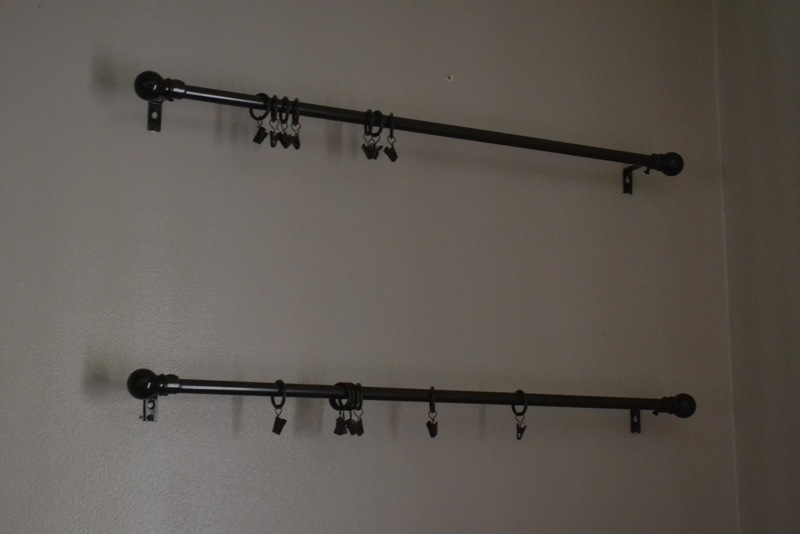 I decided to install curtain rods in our front entryway. The finished product is a simple, yet beautiful tribute to the glory of Fall. And proof that there is, indeed, great beauty in simplicity. Cathy these are gorgeous!! You should share them all over the blogosphere! 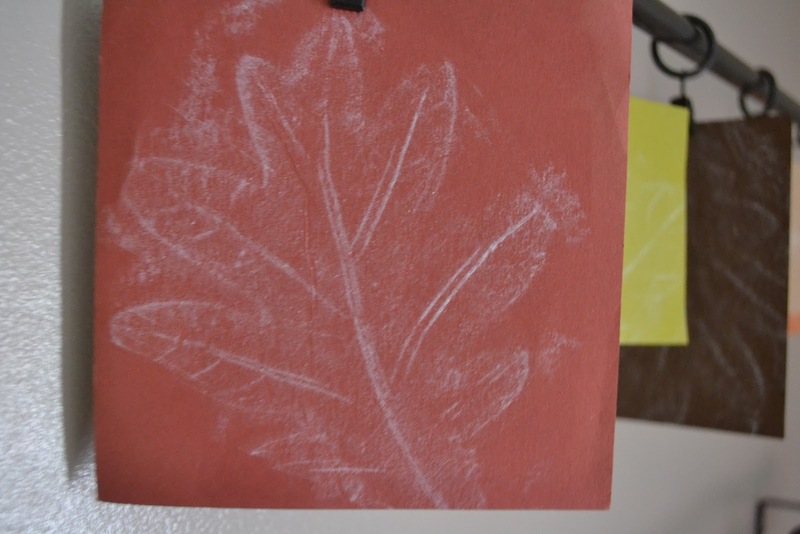 The leaf rubbings are so pretty…. I especially like how you hung them! You are so talented! Has anyone ever told you that before? I hope they do all the time…. …come do that in my entry way! The girls would love to help with this.